The WorldWide LEADER in SEL/Gould/Encore Third Party Support! 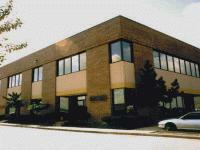 Technology Marketing Group (TMG) was founded in 1989 to provide systems, parts, repairs and support services for SEL/Gould/Encore computer system users. TMG'S rapid success is and will continue to be based on providing its customers with quality products, significant price savings, and timely deliveries. TMG'S growth and successes are a direct result of its commitment to its customers and markets. Through the years of TMG'S history we have added new custom products, services, manufactures and peripheral subsystems to our line of support. Please browse our web site or call for more information.